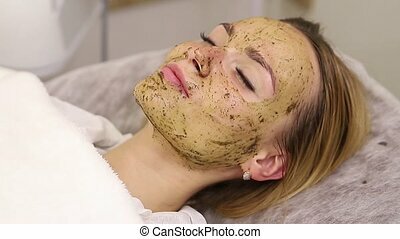 Cosmetic massage, facial treatment. 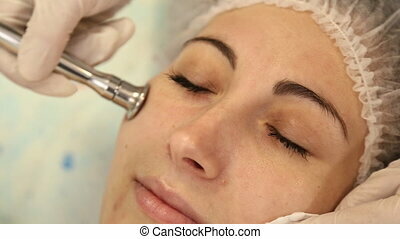 Beauty woman having cosmetic massage, facial treatment, close up. 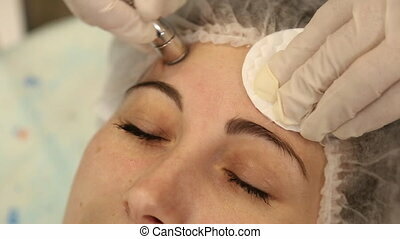 Beauty woman having cosmetic massage, facial treatment, close up. 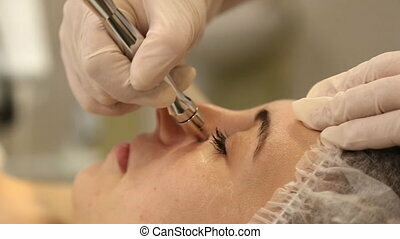 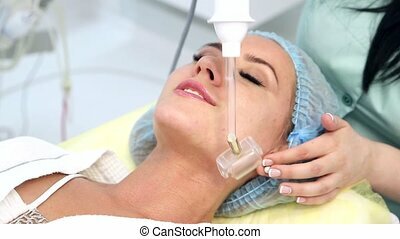 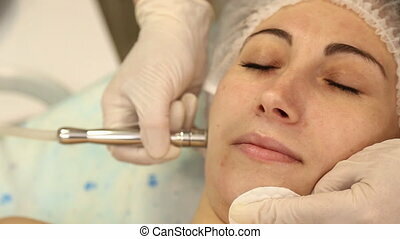 Woman receiving facial microcurrent treatment from therapist at spa salon. 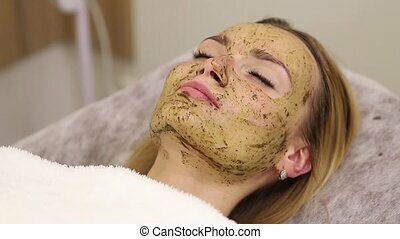 Young beautiful woman is having a black charcoal mask on her skin. 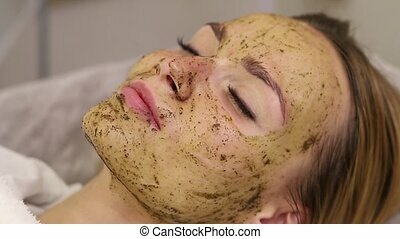 Skincare and spa treatment. 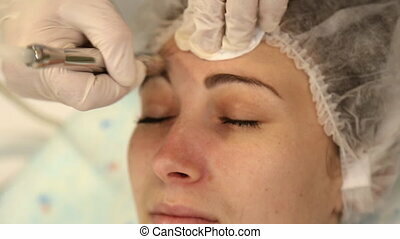 The beautician, applying a moisturizing cream under the eyes of a young beautiful woman in a spa. 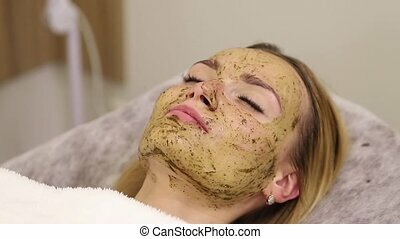 Young beautiful girl getting spa treatments. 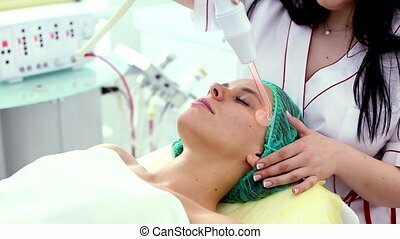 Doctor doing massage of the face. 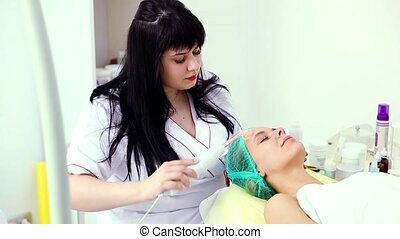 People, beauty, spa, cosmetology and technology concept - close up of beautiful young woman lying with closed eyes having face massage by massager in spa.